Raw leather Trachten bag. Small, handy, cute: this shoulder bag by Schuhmacher is the perfect companion for any outing. The saddlebag is made from real leather, with a raw exterior and a wonderfully smooth interior. The result is a high quality, chic look. 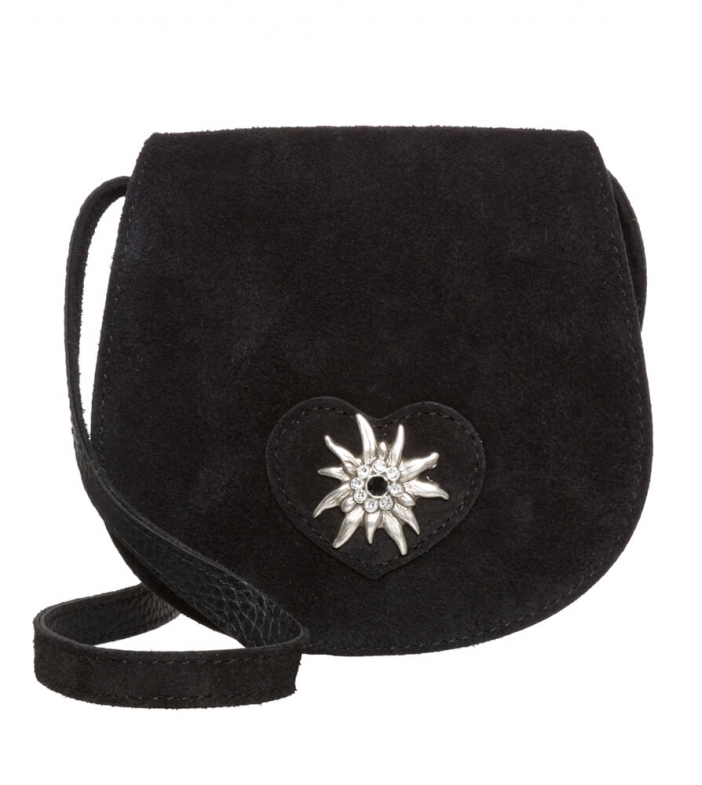 Meanwhile, with its silver-coloured edelweiss appliqué, the heart patch embedded with rhinestones is a particularly sparkly eye-catcher, lending the bag a hint of alpine folk flair. On a more practical note, the bag is fitted with a 3-way adjustable carrying strap and a hidden magnetic fastener. Whether worn on chilled-out days or at crazy Oktoberfest parties, this bag goes with everything – thanks, in particular, to its subtle, versatile colour.